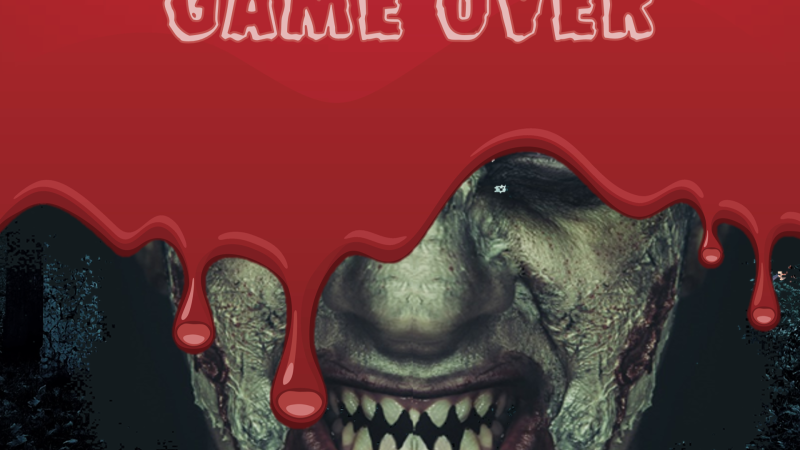 This is a Zombie Shoot-’em-up game. 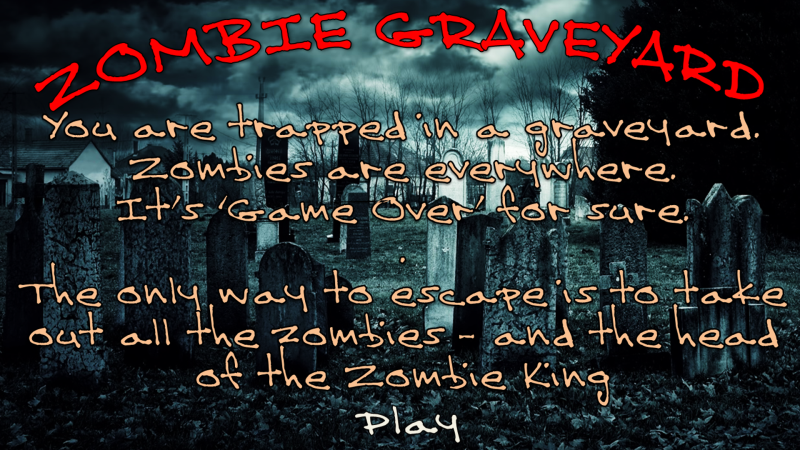 You’ve got to take out all of the zombies, and the Zombie King’s head in order to win – otherwise, it’s Game Over! 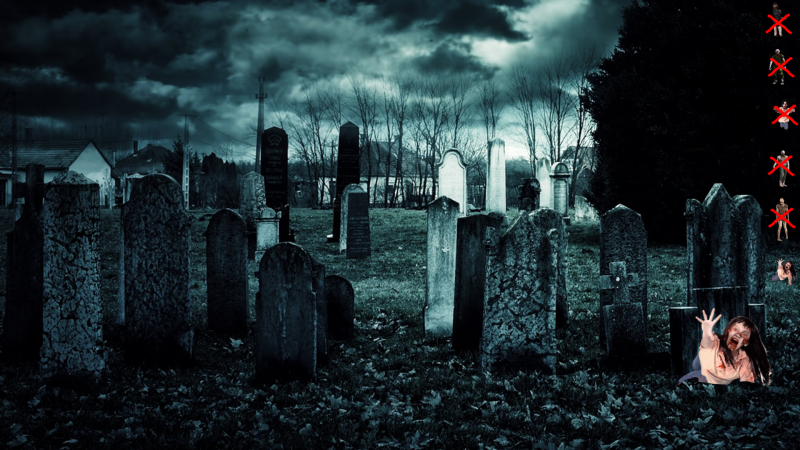 A game with gif animations and oodles of spine chilling sound effects. Dare you play it alone?! !